Getting ready for the 2018 season! – Pre-season Parents and Players meeting is Monday, February 26 from 6-7:00pm at the Falmouth Town Library on Lunt Road. All new and returning parents and players for Falmouth Rogue should try to attend. – Our first indoor pre-season practice is Friday, March 30th, from 6-8pm, in the Falmouth Middle School gym. Pre-season practices will be held on Sundays, Mondays, and Wednesdays. Please click over to the Rogue schedule for exact details. – Two of our practices will be film sessions (due to the unavailability of gym space). On Wednesdays, April 4th and 11th, we’ll be watching professional produced games of ultimate (like this) and eating snacks. 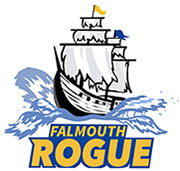 – The deadline for signing up to play on Falmouth Rogue is Friday, March 9th. Due to the time it takes uniforms to be printed, this is a hard and fast deadline. Registration is open now! – Speaking of uniforms, our team artist Joey Han is hard at-work on putting the finishing touches on this year’s design. It’s going to be awesome!